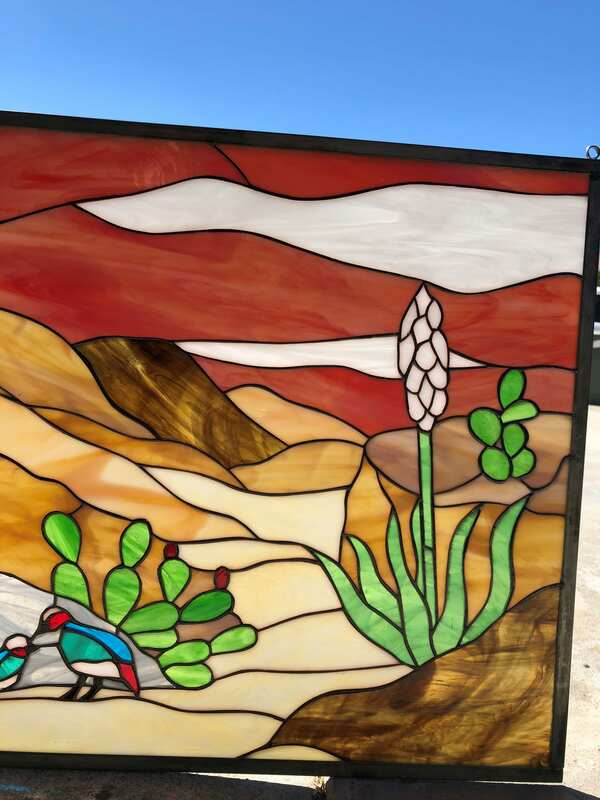 The warming colors of the desert are a perfect addition to any window. 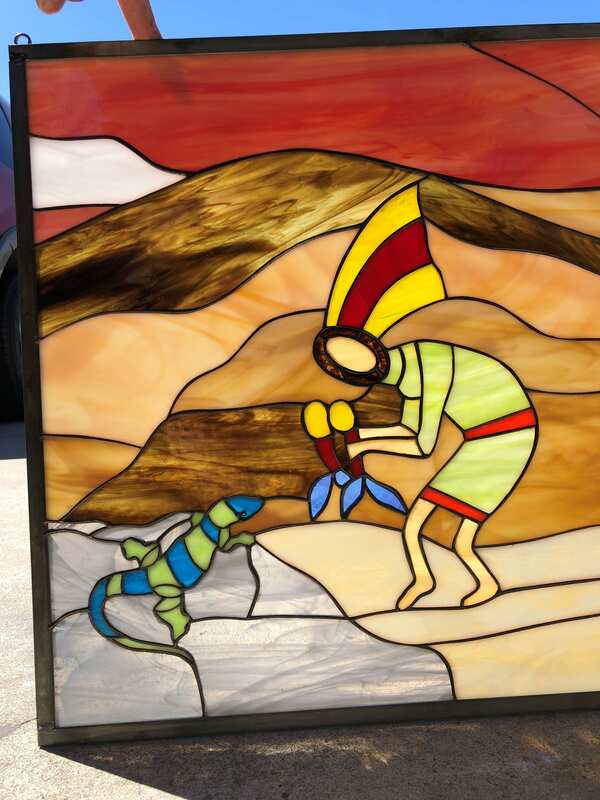 Our Kokopelli, lizard, and desert quail leaded stained glass panel creates the ideal desert setting. A rust-colored sky, swirling brown marbled glass, desert flowers, and desert wildlife surround the Kokopelli, a piece that may just bring you the blessings you seek! 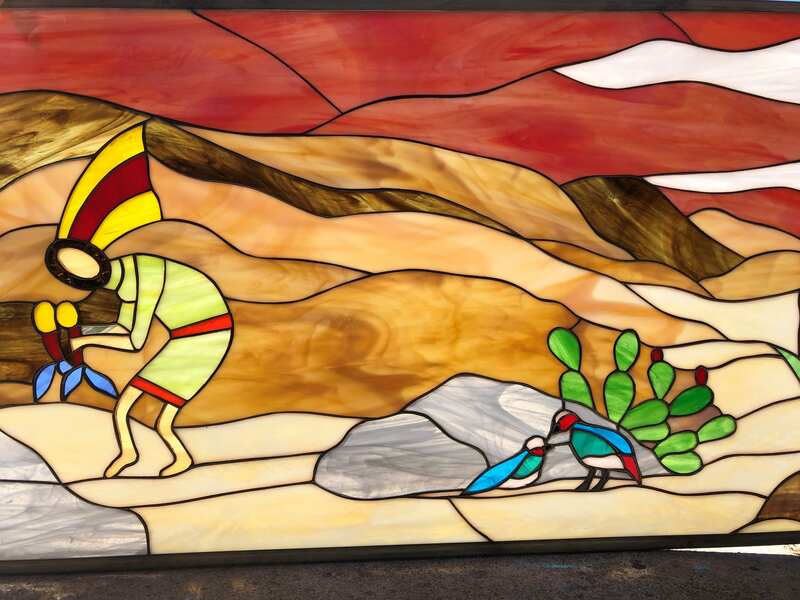 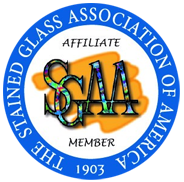 Categories: Windows Made-to-order (Wide Range of Designs), Southwestern. 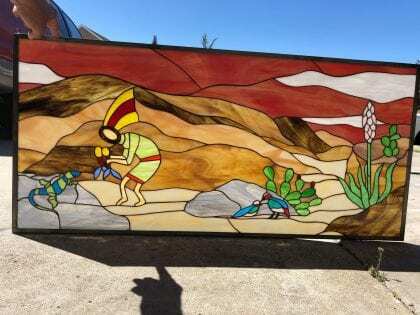 Tags: cactus, mountains, southwest.